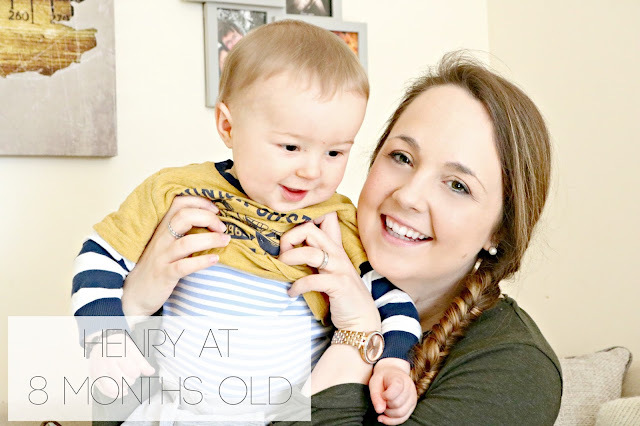 Henry is eight months old. Keeping with tradition, I will say the same thing I do every month, where did that last month go? 2016 seems to be whizzing by before my eye's which means that my little man is seemingly growing at an alarming rate too. He has changed so much this month and growing up to be a very curious little boy who is full of adventure. Last month I wrote about Henry's attempt at crawling which I had dubbed "The Worm", this month it has transformed into a full blown crawl. He now whizzes around the room at lightning speed, usually chasing after his sister or the dog. You would of thought he would be happy with this, but oh no, crawling isn't enough for him. This month he has also learnt to pull himself up on everything and is even started to cruise around the furniture. I'm convinced he'll be walking before long. To me he looks so odd when he does this, he just looks too little to be doing these things! Darcie was doing this at 10/11 months and Henry 7/8 months - Darcie must be a very good teacher! He is exploring more with his voice, making new sounds and shrieking occasionally. He will still only say "dadda" (or what sounds like dada anyway! ), but I think he has been concentrating on moving around. Henry has had quite a few sessions at nursery now and is settling in brilliantly. He has even been surprising his Key Worker by crawling up their little stairs (two steps) and going down the little slide all on his own. I'm so pleased nursery hasn't phased him, you can read more about him at Nursery here. 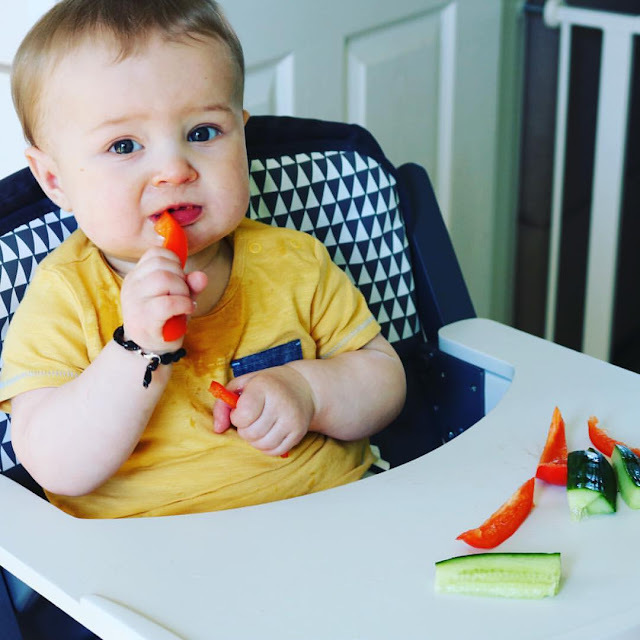 Foodwise, we're still loving weaning!! I have a few posts lined up all about this so make sure you pop back soon to read those. There still hasn't been anything that I've given him that he dislikes, so fingers crossed this continues. Though from experience, I know this can change overnight! One thing we are struggling with is getting water into him. He hates sippy cup's, but seems to like ordinary cups. which is great, but a little annoying when you're on the go. Anyone recommend any cups we could try? We still have no teeth, which is kind of great because we're still breastfeeding. He has been very groggy the last few days, including today and I'm putting it down to teething. Perhaps they will make an appearance this month. 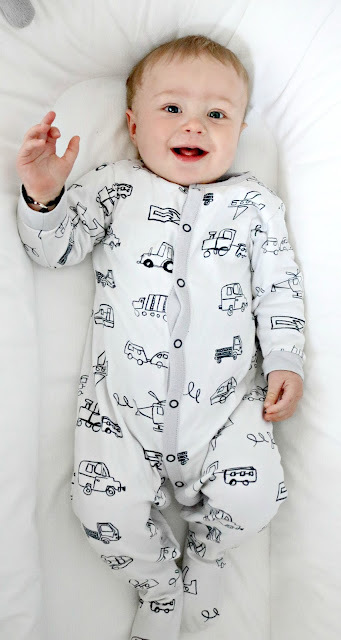 On the whole, he is growing up to be a cheeky little chappy who lives for adventure. It surprises me so much just how different he and his sister are, but I kind of love that. Whilst they're so different, they already have such a huge bond. Darcie acts like a little mother hun, and Henry finds her the most hilarious girl in all the world.